» Home » Wonder-ful Inspirations! Becki, this is adorable! She is adorable, as well! Love the bright colors and the way you always come up with great ideas for using BG papers! 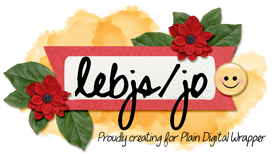 So when I read (partly) the directions that Jo wrote for the April VP #2 challenge, I thought we were supposed to scraplift your layout, so I did! Here's a link to my lift of your (and Jo's) pages!